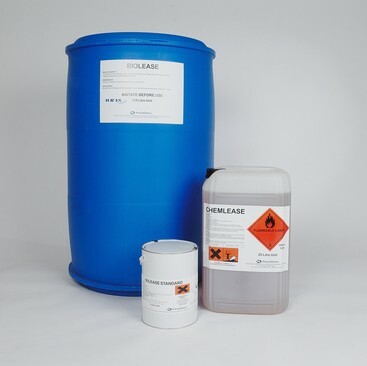 Biolease Standard is a blend of bio-degradable vegetable oils emulsified in water and is designed for use in general site operations and pre-cast yards. The oil forms a physical barrier between the form and the concrete with the surfactant working in conjunction with the alkalinity of the concrete to produce a high standard of finish. Yield: 10 - 30m2 per Litre. Available in 25 litre and 210 litre drums. VOC free and low odour. Safe to use and environmentally friendly. Non-staining, suitable for white or coloured concrete. Easy to apply by spray or brush. Not easily washed off by rain. Forms may be stripped early when concrete permits. Suitable for the application of other coatings, sealers and mortars. To download the Biolease Standard Technical Datasheet click here. To download the Biolease Standard Safety Data Sheet click here.